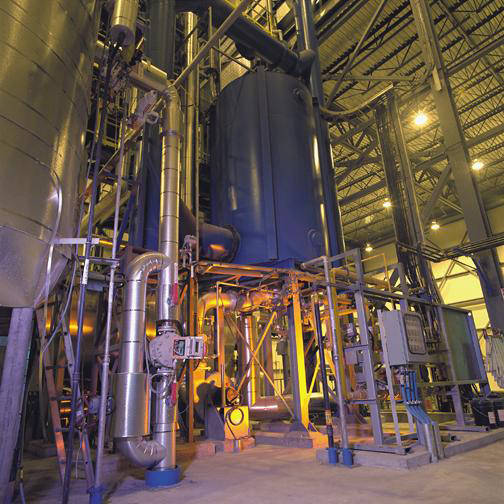 A new start-up biomass pyrolysis company is building its first pilot plant on the forested coast of southwest Oregon in the United States. Three Dimensional Timberlands (3DT) is purchasing a former timber mill site where they will construct a three-ton-per-hour fast pyrolysis unit. Access to appropriate feedstocks is one reason for the Oregon location. The fast pyrolysis used by 3DT produces significant quantities of biochar along with bio-oil. The plant should be up and running in nine months, and after proving the feasibility of the technology in operational mode, the group has immediate plans for two additional plants in Oregon with long term plans for expansion both within the US and globally. 3DT’s vision and strategy is both global and local. Globally they wish to contribute to the mitigation of climate change while helping the world grapple with the dually compounding problems of expanding population and concurrently dwindling food production. Nationally and locally they want to help the United States move toward energy independence, help states meet their Renewable Energy Portfolio Standards, and help improve local economies where their facilities are located. The company is unique, in that it will not only own and manage biomass pyrolysis plants, it has plans to also own and manage timberlands. Company founder Paul Smith has 20 years experience in ecologically aware logging and sustainable forest management, and several of the other partners and advisors have extensive experience in timberland investments and acquisitions. While most of the publicly owned forests in the region are currently unavailable for logging due to ecological reasons, there are significant private timber lands that are managed continually on 45-year rotations. Smith says that only logging and milling by-products will be used as biomass feedstock, material that would be considered a low grade of paper mill pulp. There is also a salvage opportunity in southwest Oregon where a fungal disease called Sudden Oak Death has devastated large stands of Tan Oak. The only way to stop the spread of the disease is by culling the trees, and pyrolysis is a good way to dispose of the material. A nearby quarantine area holds more than 45 million cubic feet of Tan Oak that needs this treatment. The fast pyrolysis production unit is a proprietary technology that can operate in either a low temperature torrefaction mode or a high temperature mode that produces biochar and bio-oil. This allows for a variety of product outputs that can be adjusted according to market demand. Torrefied biomass could be used as fuel for co-firing in electrical generating plants, but since the Pacific Northwest is served with cheap hydro-electricity, there is not a great market for this use and therefore, the first target markets for 3DT are biochar and bio-oil. The bio-oil will be sent to a refinery for further processing into fuel and industrial chemicals, the biochar will be marketed as a soil amendment, and the other charcoal as BBQ briquettes. Operating the unit in high temperature mode produces roughly equal quantities of biochar, bio-oil and syngas. 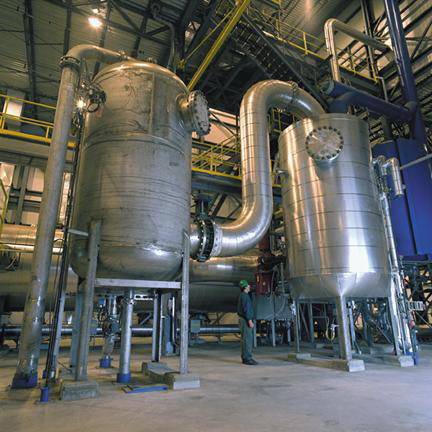 About a third of the bio-oil is used to provide process heat and the syngas is used for drying the feedstock. A seemingly minor but actually quite important feature of the technology is its ability to pyrolyze woody biomass with minimal pre-processing. Most fast pyrolysis technologies need a fine feedstock achieved by grinding or pulverizing wood, but the 3DT technology can process a wood chip that is up to one inch square. According to Smith, the resulting biochar medium will be easier for farmers to handle as opposed to a finer biochar that is more prone to wind losses on application. They are also willing to invest in developing the biochar market by investing in biochar research. 3DT has been working closely with Oregon State University biostatistician Frank Burris about uses for biochar in agriculture and land remediation, and 3DT will supply OSU with biochar for research purposes once the plant is up and running. Three Dimensional Timberlands has also shown its commitment to the biochar community by becoming an inaugural IBI Business Member. Investors and others interested in learning more about the company can contact 3DT at www.threedimensionaltimberlands.com. Pyrolysis condensates recovery system; all photos courtesy of 3DT.